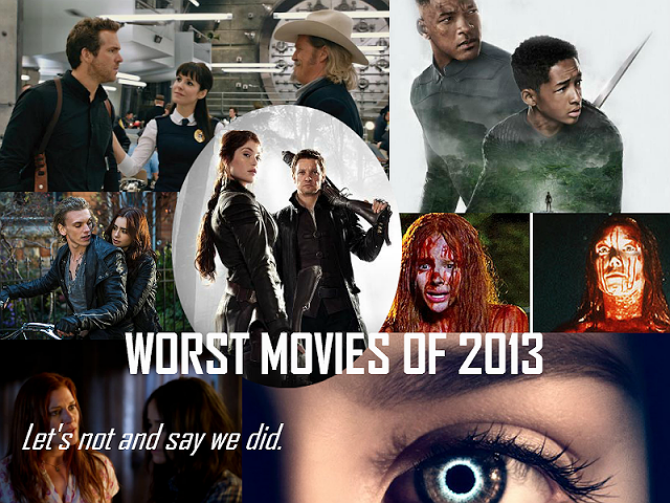 Time for the second part of the Best, the Worst, and the Just "Ok" Scifi/Fantasy Movies of 2013. 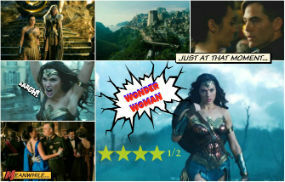 The first week I typically highlight the "Just OK" scifi/fantasy films of 2013. You can see that post below or click here. Now it's time for my picks for the WORST scifi/fantasy movies of the year. 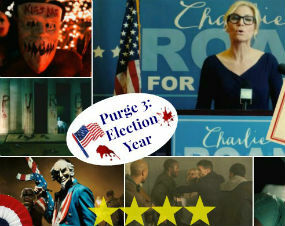 The worst movies of the year fit one or all of the following categories: the movie has few if any redeeming qualities, the movie should not have been made, the movie needed a different writer/director/cast, or the simplest explanation, the movie is just plain BAD. When you leave the theater you fee like you wasted two hours of your life. 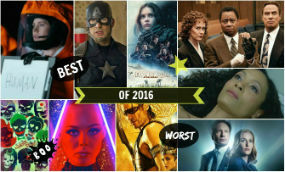 These are the worst movies of the year! Feel free to agree or disagree with me in the comments. I enjoy a healthy debate. I debated on whether or not to put this film on the list. It's not the worst film of the year, but it wasn't quite "Just OK" either. It was a shade below OK and a pinch above the Worst. So where to put this one? 'Carrie' is a movie that shouldn't have been remade. Brian DePalma's original 1976 version is a classic. So a 'Carrie' remake is bound to suffer from comparisons. The remake also suffers from the casting. Chloe Moretz is a talented actress, but she's no Sissy Spacek. At least not yet. Chloe Moretz was just NOT believable as the awkwardly shy Carrie who suddenly snaps. Likewise, Julianne Moore is a great actress, but she could not match Pipe Laurie's haunting performance. Sometimes a film comes together perfectly, with all of the right pieces: cast, director, and script. The original 'Carrie' was one of those films. So trying to replicate that success is nearly impossible. Worse yet, the remake is not nearly as daring as the 1976 film. Therein lies the problem. A remake or reimagining has to upset the apple cart a little bit. Just remaking a film for the sake of remaking it doesn't work. The writers/director need to bring a new spin to the film and make it fresh. Shake things up a bit. There was no shake n' bake in this film. It was just stale and cold. Or in other words: WE'VE SEEN THIS ALL BEFORE...LITERALLY. Synopsis: 'Carrie' is a remake of Stephen King's classic tale about Carrie White, a shy awkward teenage with the power of telekinesis and a mom who's cray cray. 'Hansel and Gretel: Witch Hunters' would have made an excellent episode of 'Once Upon a Time.' As for a stand alone movie...not so much. 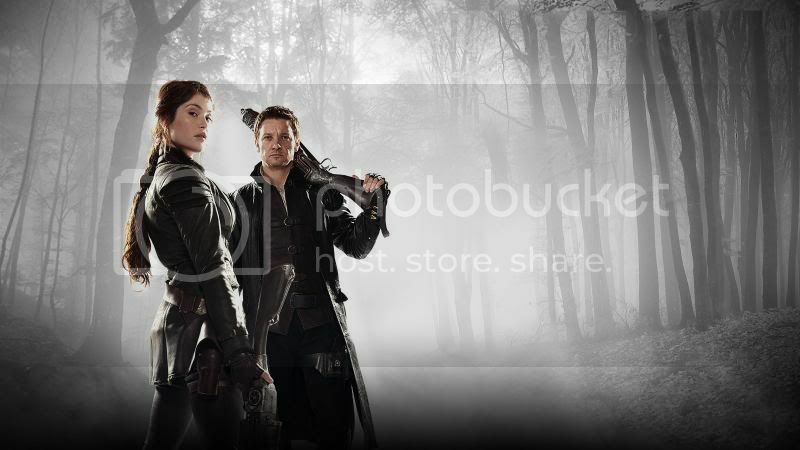 'Hansel and Gretel: Witch Hunters' tries way too hard to be funny, thus not being funny. It's loud and obnoxious. You will laugh "AT" this movie, not with it. The director was attempting to make a horror comedy a la 'Evil Dead,' but ended up with 'Van Helsing 2' instead. Synopsis: Hansel and Gretel narrowly escaped the witch's gingerbread house, but their parents weren't so lucky, so now H & G out for blood. Witch blood! The siblings are fearsome witchhunters hired to investigate the disappearance of children in a small village. Now it's on. Perhaps in the beginning Shyamalan was "reigned in" by heavy-handed producers. However, as he became more popular, he was "let loose" so to speak, with disastrous results. Someone stop him please... Shyamalan is a shadow of his former self. His movies are caricatures and 'After Earth' is no exception. 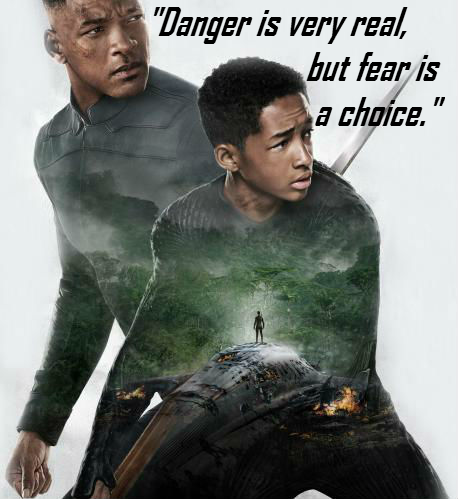 'After Earth' was overly sentimental, tedious, uneven, and boring. As with most big budget films of little substance, the CGI is over the top. This film is so bad it feels like a big budget Uwe Boll video game movie. Will Smith shouldn't escape blame either. He's been in the game long enough to know better. In fact, the storyline originated with Smith himself. After watching a survival story in an episode of 'I Shouldn't be Alive,' Smith came up with idea. When the film was set 1,000 years in the future, BOOM, it suddenly became science fiction. Now we charge for 3D tickets. The best line in the movie comes from Will Smith's character as he encourages his son, "Fear is not real. It is a product of thoughts that you create. Do not misunderstand me. Danger is very real, but fear is a choice." So "choose" to skip this one. Synopsis: Humans abandoned a once toxic earth 1,000 years ago. Cypher, a fearless ranger (Will Smith) and his son Kitai (Jaden Smith) are on an interplanetary mission when an asteroid strike forces them to crash land into earth, mortally injuring Cypher. After a 1,000 year absence, earth has become deadly to humans (both its atmosphere and its inhabitants). The planet is full of hyper-evolved species bent on killing humans. Kitai has to follow his father's instructions to get to the beacon or they're both toast. Another comic book butchered by Hollywood? Must be Tuesday. R.I.P.D is a bad mash up of 'Men in Black,' 'Dead Like Me,' and 'Brimstone,' with none of the wit or originality of the aforementioned. Little substance, lots of CGI--par for the course. 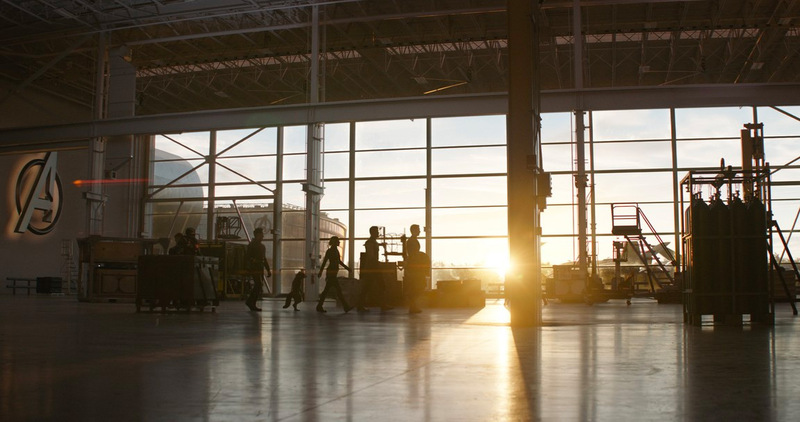 Fortunately, the movie going audiences is smarter than Hollywood executives think we are: "If we build a bad movie, but fill it with colorful shiny things they will come." No. We will stay home and watch Netflix while your $200 million movie goes down in flames. Audiences are increasingly fickle. In these economic times people are not likely to buy a $10 ticket without reading reviews or listening to word of mouth. Thus has been the fate of R.I.P.D. 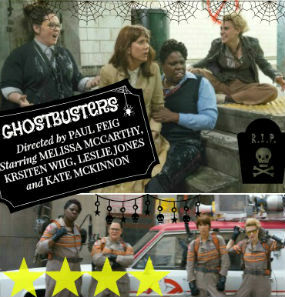 which failed miserably at the box office this year. R.I.P.D. wasn't the only blockbuster to fail this summer. Several others followed suit. See more about that here. The best word to describe this movie is unpleasant and who wants to see that? Oh and please make Ryan Reynolds go away. Or make him choose better scripts. Either or. Synopsis: Nick Walker is a recently deceased smarty pants Boston-cop (Ryan Reynolds) sent to the afterlife, specifically to the "Rest in Peace Department." This otherworldly place protects and serves from beyond the grave. Walker teams up with Foghorn Leghorn himself, otherwise known a Roy Pulsifier (Jeff Bridges). Pulsifier is a former lawman from the Wild Wild West. The terrible twosome are tasked with protecting the living from destructive souls who have failed to move on to the other side. What follow are lots of gun fights and CGI explosions. The title alone makes no sense. Haunting in "Connecticut": Ghosts of "Georgia." It looks like someone got their states mixed up. The movie is based on the hit docudrama series 'A Haunting,' formerly on the Discovery Channel, now on Destination America. You can read more about that show here. The original docudrama 'A Haunting in Connecticut' was blood curdling. The film version--not so much. The Haunting television franchise also had a segment in Georgia, which is likely where the filmmakers got the idea. The mini docudrama set in Georgia was not as scary, but adequate. After the Georgia episode, 'A Haunting' gained enough traction to get its own television series, which lasted for several years. For reasons unknown it took a five year hiatus before reappearing on Destination America. 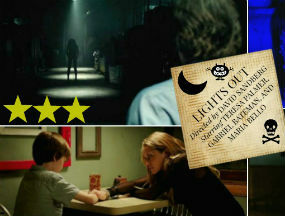 'A Haunting' was a precursor to the 'Paranormal Activity' films and the SyFy Channel's 'Paranormal Witness.' The show is much better suited to the small screen. The movie leaves much to be desired. The film version is one big horror movie cliche. UNDERWHELMED. Synopsis: A young couple (Chad Michael Murray and Abigail Spencer) and their young daughter movie to an old southern home. They encounter all types of spookiness. That's it. The end. 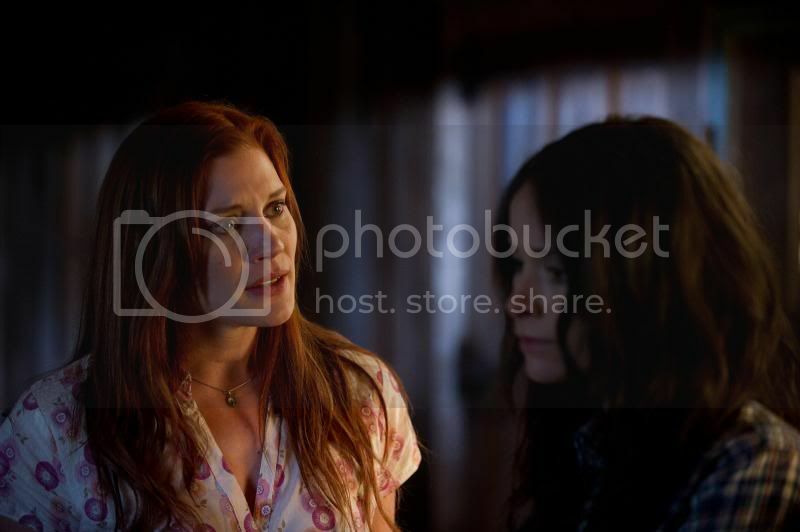 Katee Sackoff costars. 'The Mortal Instruments' is so bad it feels like 'Twilight' fan fiction. Although it's still not as bad as '50 Shades of Grey.' Nothing can compare to that travesty. Based on the Cassandra Clare novel of the same name, 'The Mortal Instruments' is another teenage supernatural tale, this time with angels and demons. Although they do toss in a few vampires and werewolves for good measure. Vampires and werewolves are like milk and bread. You can't have a teenage supernatural movie without them. 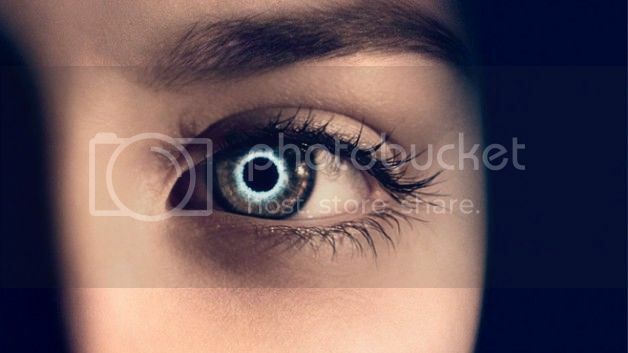 Lily Collins plays the familiar role of a young person who learns that she has latent special powers. 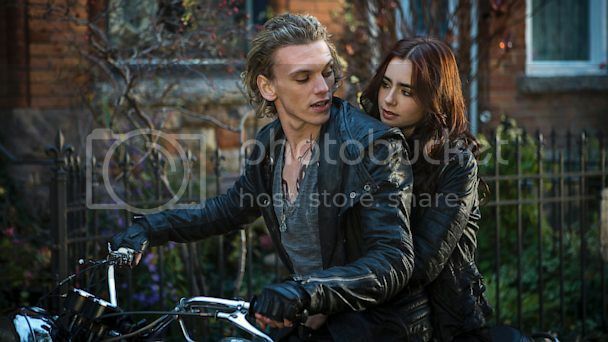 'The Mortal Instruments' is another movie in a long line of young adult fiction. Ever since the late 1990s, young adult fiction has been more popular than ever: 'The Hunger Games,' 'Harry Potter,' 'Percy Jackson,' 'Beautiful Creatures,' just to name a few. 'The Mortal Instruments' is not nearly as well written or constructed. The weakness in the books translate to the film. Most of those I just said no to! Especially After Earth. I like my brain cells. Chloe Moretz was too pretty to be Carrie. but I will take your word on the rest of them. I wanted to give Reynolds a chance, and it's gone. I love Jeff Bridges, but it felt like he was doing True Grit on crack. I honestly enjoy bad films, well the ones that just look bad that were intended to be serious. the popcorn films like Hansel and Gretel, those ones still draw me in. I don't like to waste the time/money in the theater anymore unless it's meant to be fun... we hold off for a few months and wait for films to get discounted to a few bucks. Thanks for the warning. I shall avoid all of the above. Alex-- I understand. I have a few guilty pleasures myself, like the 'Resident Evil' films. David-- Yes, like you I want to give Reynolds a chance, but with 'The Green Lantern' and now 'R.I.P.D,' I don't know anymore. Jeremy-- That's what I do as well sometimes. I waited for a couple bad films to come to the $2 theater before I saw them. No sense in wasting a full $10. 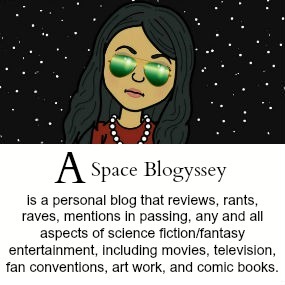 I've seen the Host and After Earth and agree 100% with your list. They were bad. I like your explanation of M. Night's failure since creative control can be a good thing sometimes. Maurice-- Thanks! Yes M. Night needs more managing! That's the only reason I can think of? I only saw Carrie but yeah it was so awful. Hiring Moretz has gotta be one of the most misguided casting decisions ever. Yes, I don't know what they were thinking about hiring Moretz. Bad casting!